When the only 'jam' in your doughnut is the traffic kind and information overload is threatening to short-circuit your brain, where can you escape the frenetic and breakneck pace of life in the city? It is well accepted that water quiets the mind; a soothing salve for the chafed spirit. 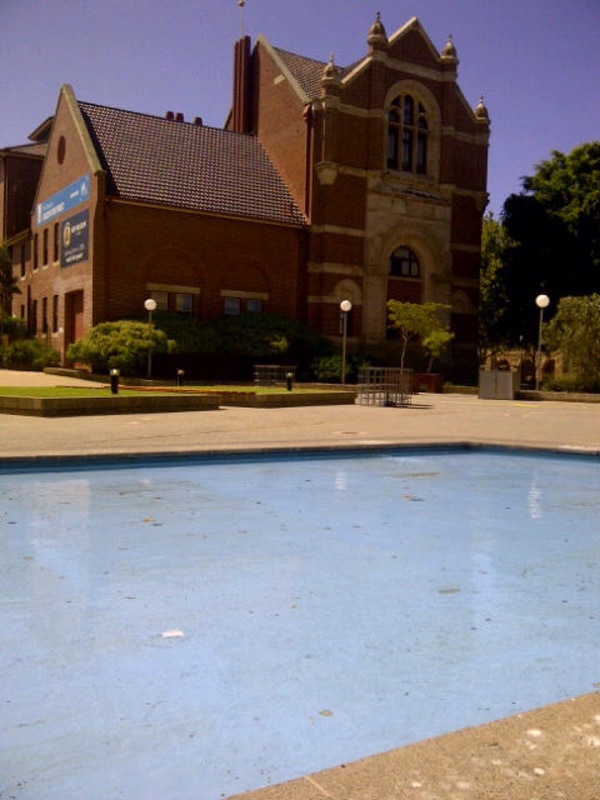 Head to these spots featuring water in and around the Perth CBD for some time-out. 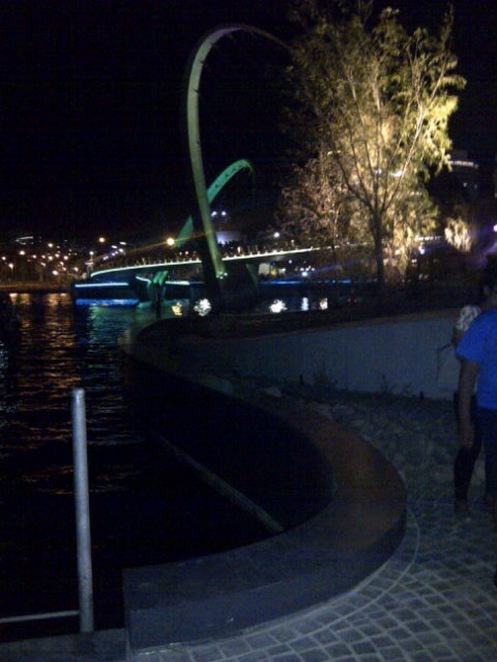 Located side by side where Barrack Street ends at the Swan River, both locations bring you close to the river's edge. 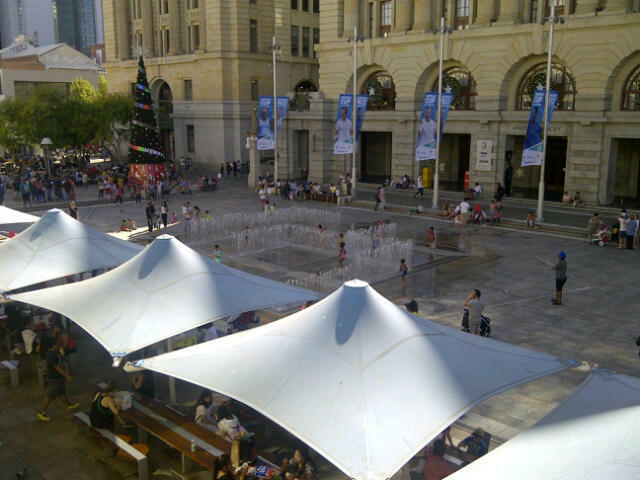 The water labyrinth at Forrest Place brings out the inner child and complements the water playground at Elizabeth Quay. Just over the footbridge across the railway, is the Cultural Precinct. The atmosphere changes almost immediately. 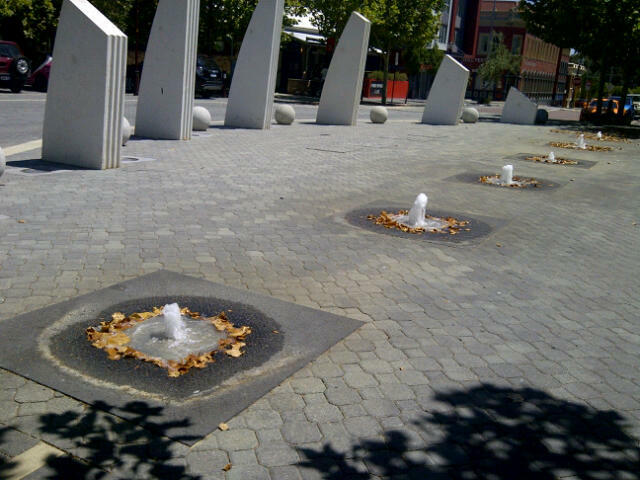 There are two water features, the larger feature is outside the Art Gallery. 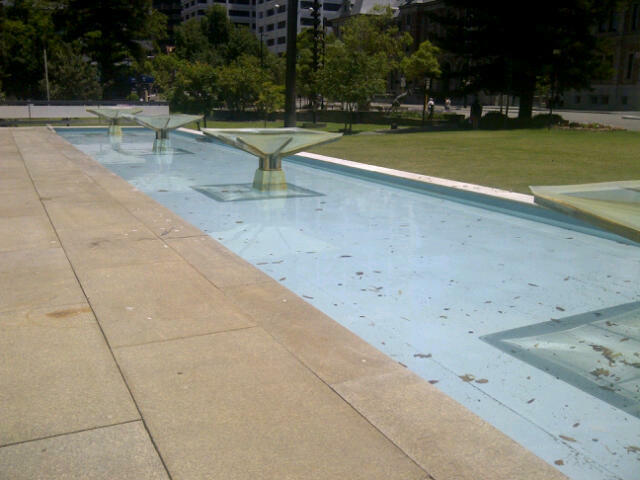 The second water feature is tucked away around the side of the State Library. 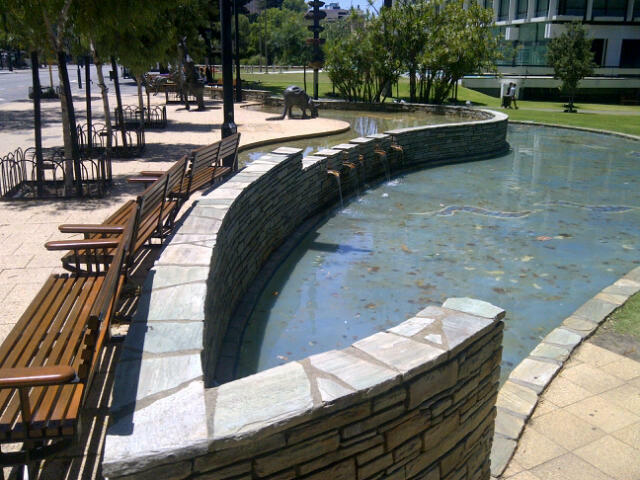 Stirling Gardens is located at the corner of Barrack Street and St Georges Terrace. Watch out for the bronze kangaroos! A little further east along St Georges Terrace is Perth Council House. Peaceful and magical, Queens Garden is an old favourite. Queens Garden is bounded by Hay Street, Hale Street, Nelson Crescent and Plain Street. Russell Square at 12 Parker Street, Northbridge is a beautiful park. At its centre is a rotunda, around which are water features. Not far from the park are water features along the road. 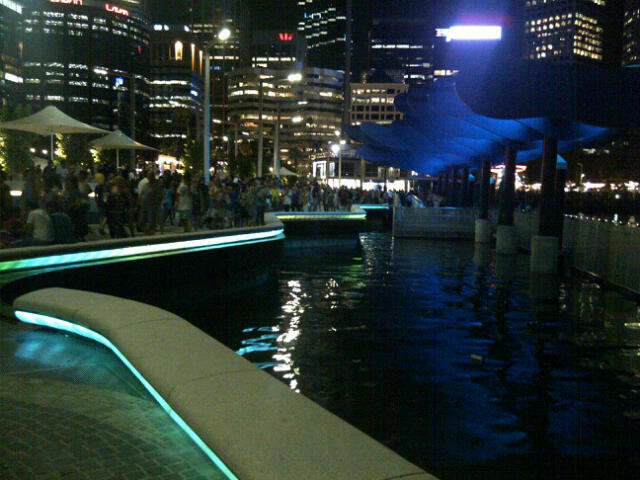 QV.1 Building: Located at the west end of the CBD, the forecourt is dominated by a cascading waterfall. 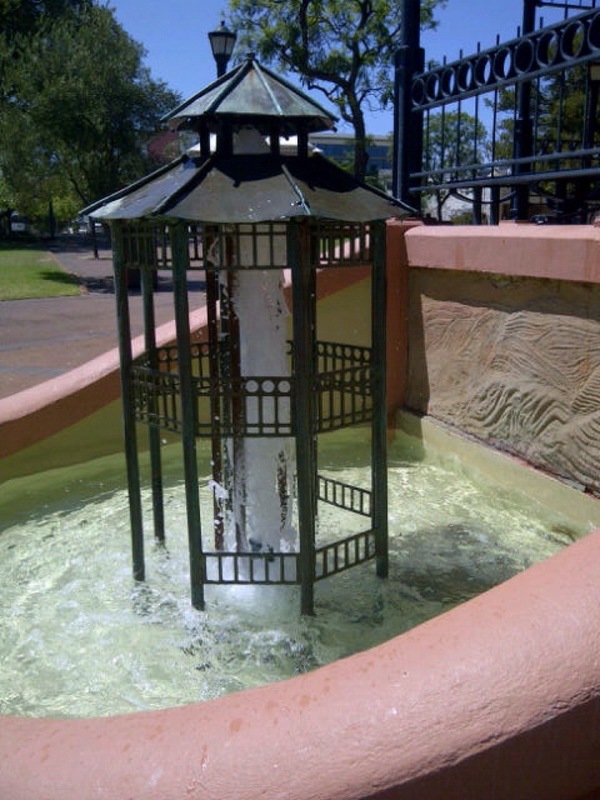 John Oldham Park: Located on Mounts Bay Road, there is a lake with a fountain. Kings Park: If you can take a full lunch break, there are a number of lakes and water features to explore. 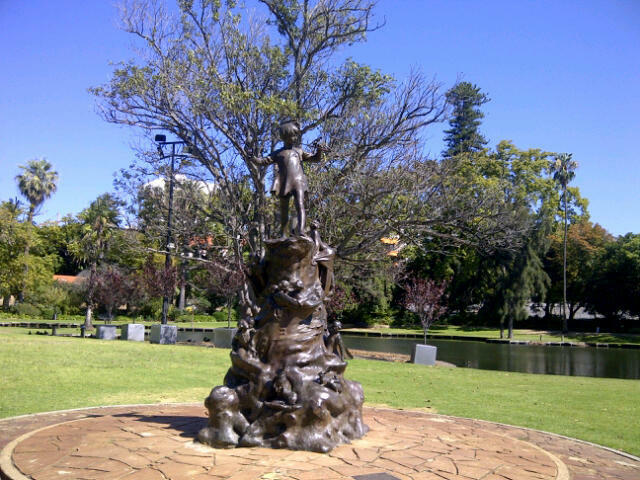 Ozone Reserve: Visit Lake Vasto and the monument to migrants in East Perth. Point Fraser: Located near the Ozone Reserve. 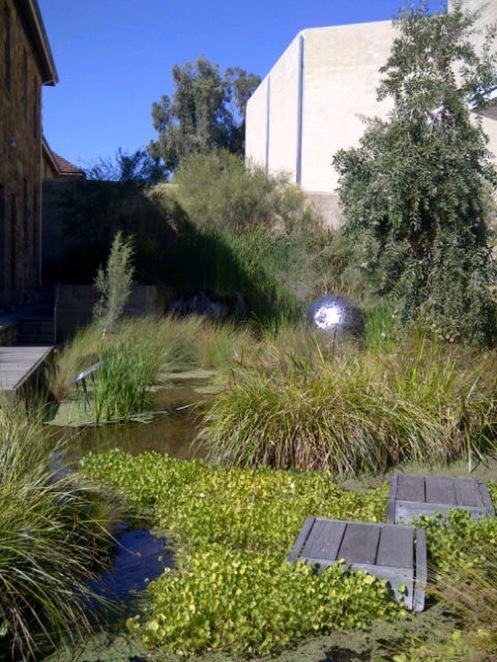 Mardalup Park: Located at Brown Street, East Perth. Heirisson Island: Located at the Causeway, East Perth. As Darryl Kerrigan said, "how's the serenity". The water features on the side of the road with the standing stones and small balls are reminiscent of a large scale sundial.